Saturday, another full day of genealogy classes, meeting new people, and attending a banquet with Genealogy Roadshow’s Kenyatta Berry. 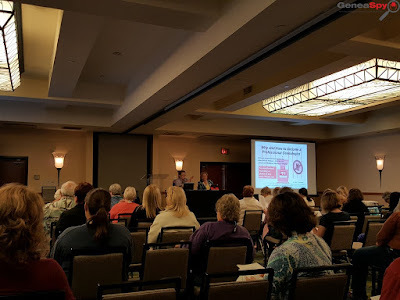 Two speakers that I saw for the first time and who I thought was in the top five articulate and witty speakers at this conference were Michael John Neill and Kim R. von Aspern-Parker. Both were excellent in their presentations and very knowledgeable! 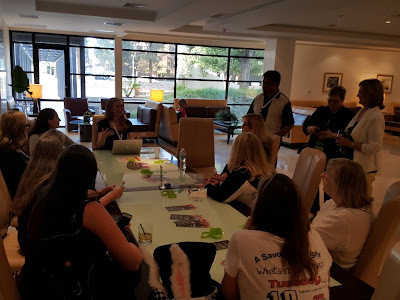 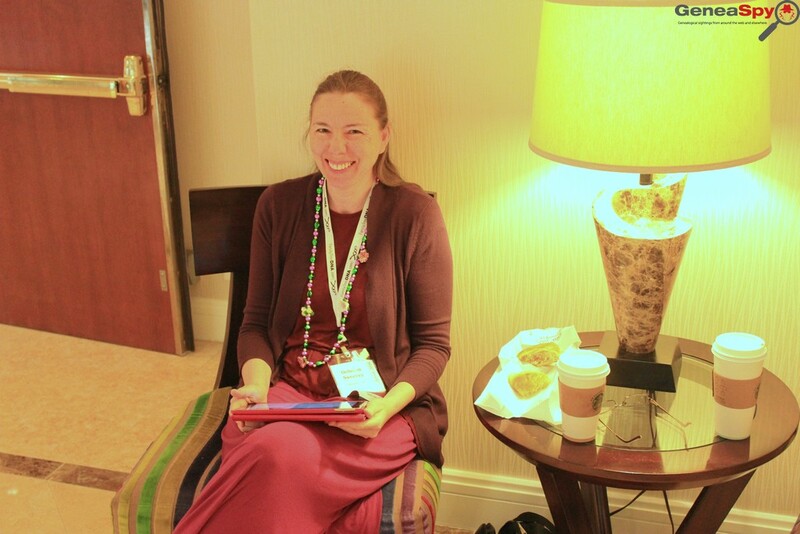 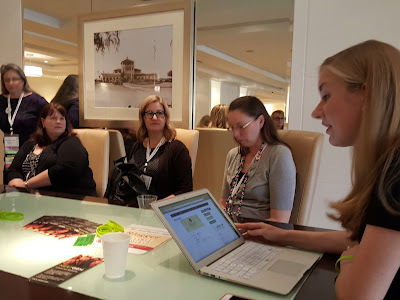 After classes, I met up with the NextGen Genealogy Network in the Marriott Hotel with a very pregnant Melanie Frick presiding over. 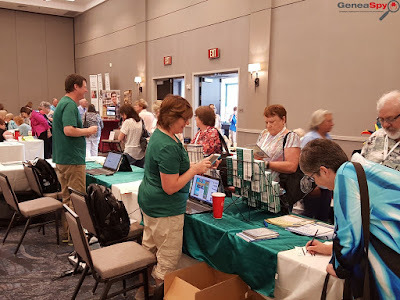 There were some new people this year attending and we all did introductions. 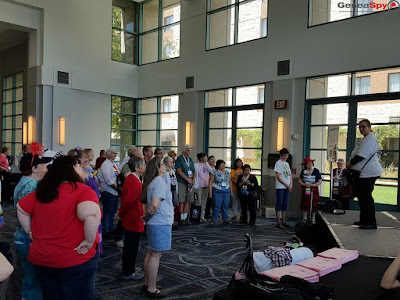 Melanie unveiled the new “community” page on the website, which I thought was an excellent idea. 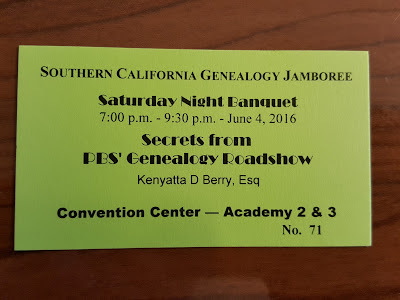 Later I attended a dinner banquet which featured Kenyatta Berry from Genealogy Roadshow. 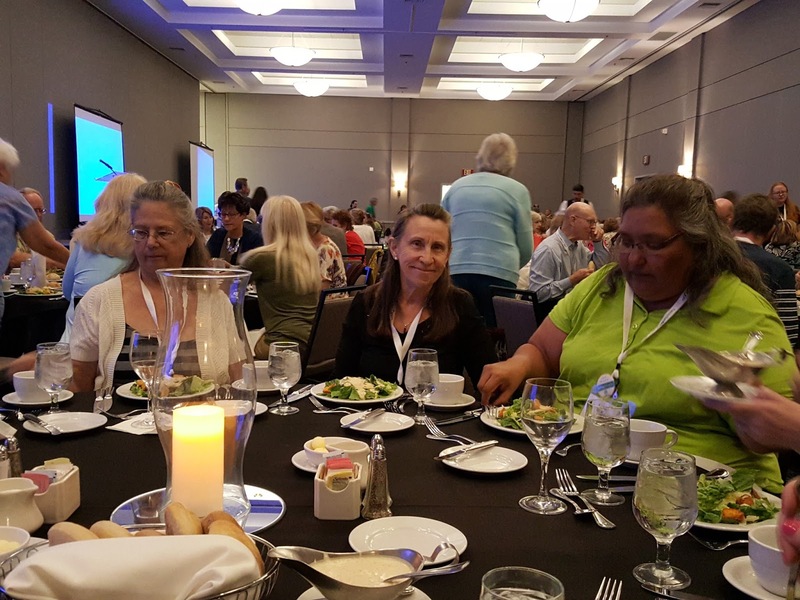 I sat with several friends and even met a new one too! 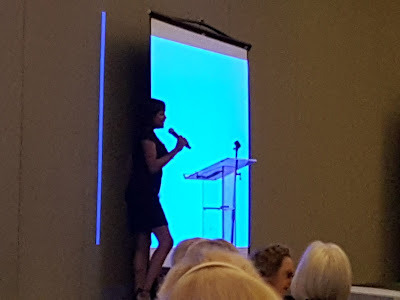 Kenyatta was awesome as always, speaking about the inner-workings of the Genealogy Roadshow and how she came to be auditioned for the show. 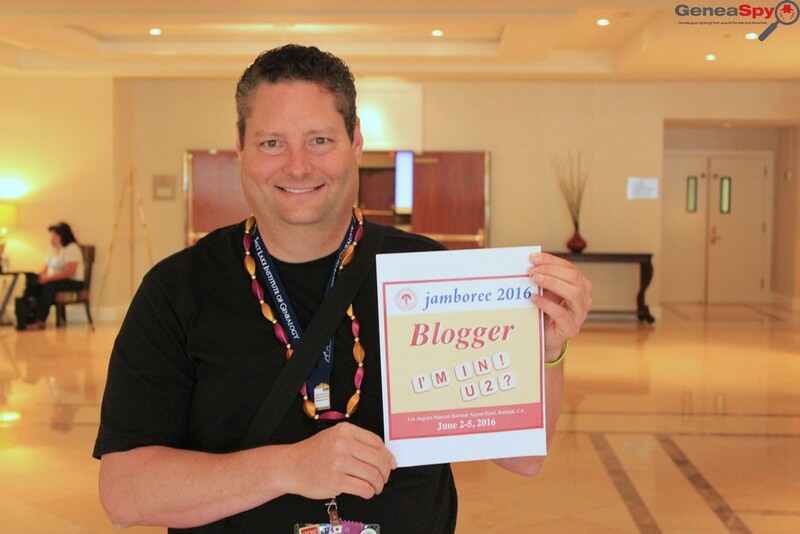 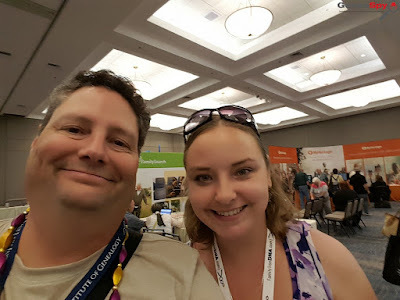 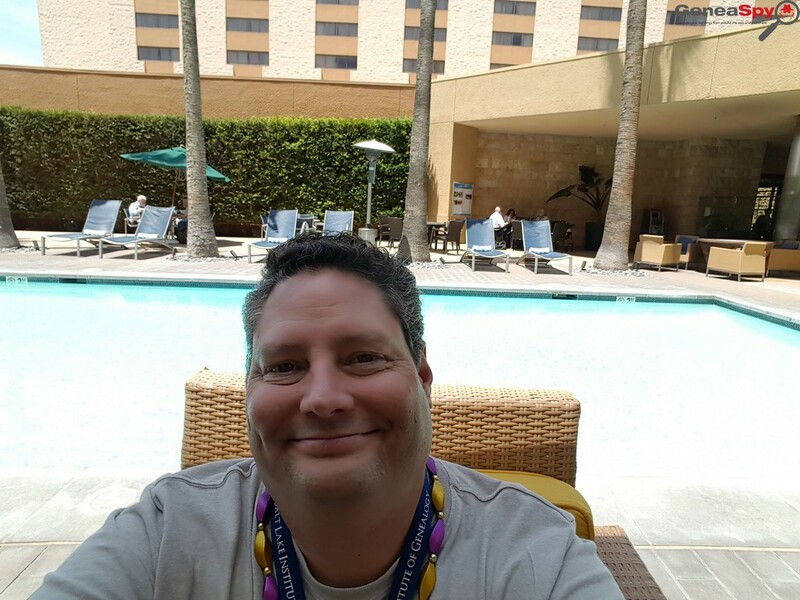 My San Diego friend, Debby Anderson, won a free registration to Jamboree and DNA Day next year! How awesome is that! 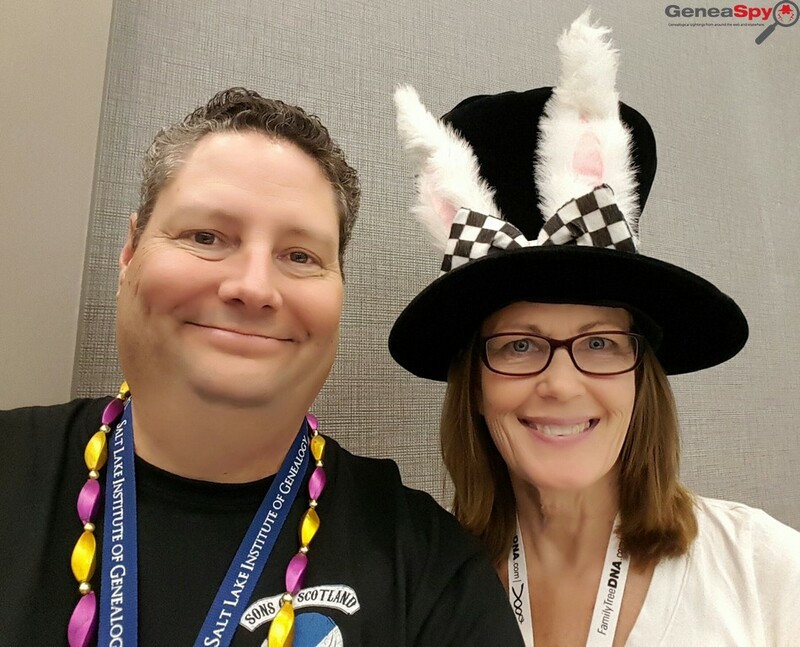 · “Publicize It and Publicize It: Increasing Attendance at Society Events” - Paula Stuart-Warren, CG®, FUGA, FMGS. 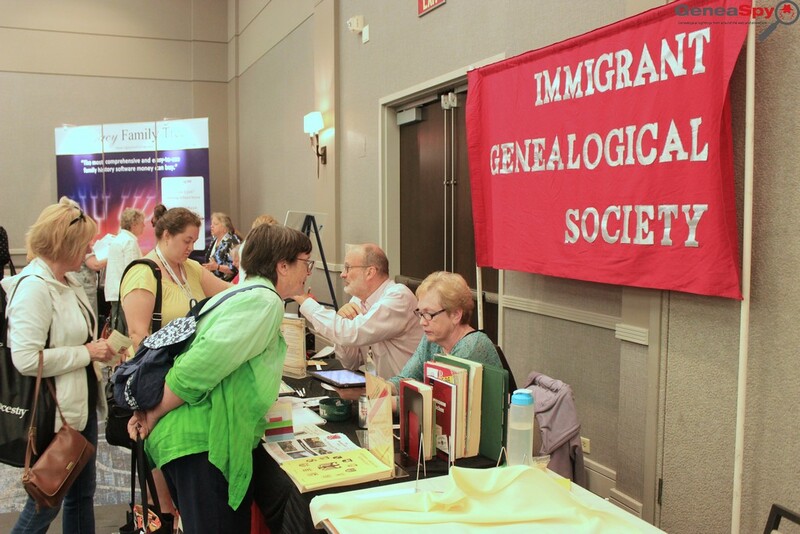 · “Reconstructing Families in pre-1850 Census Records” - Michael John Neill. · “Putting America to Work: Records of the Works Progress Administration (WPA)”. 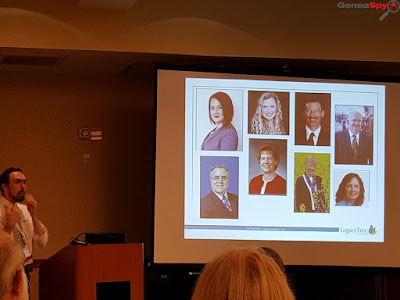 - Peggy Clemens Lauritzen, AG(R). 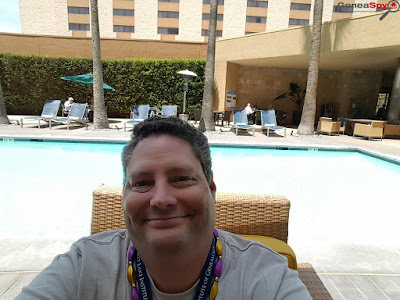 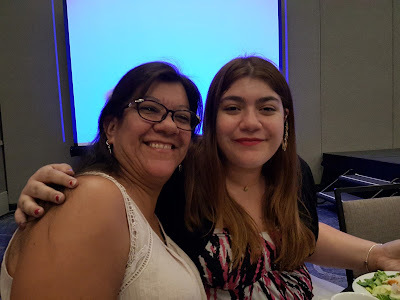 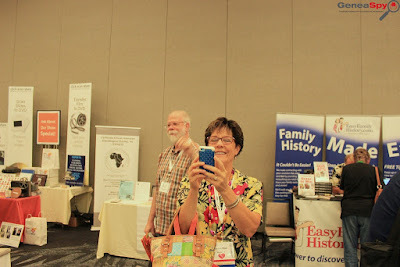 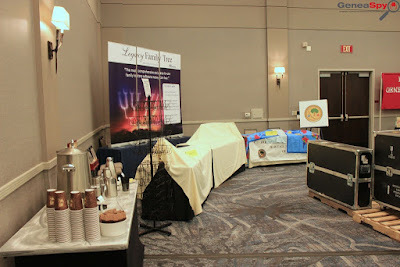 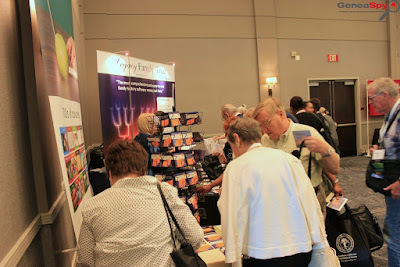 · “Blog Your Family History: Eating the Elephant One Bite at a Time” - Jill Morelli. 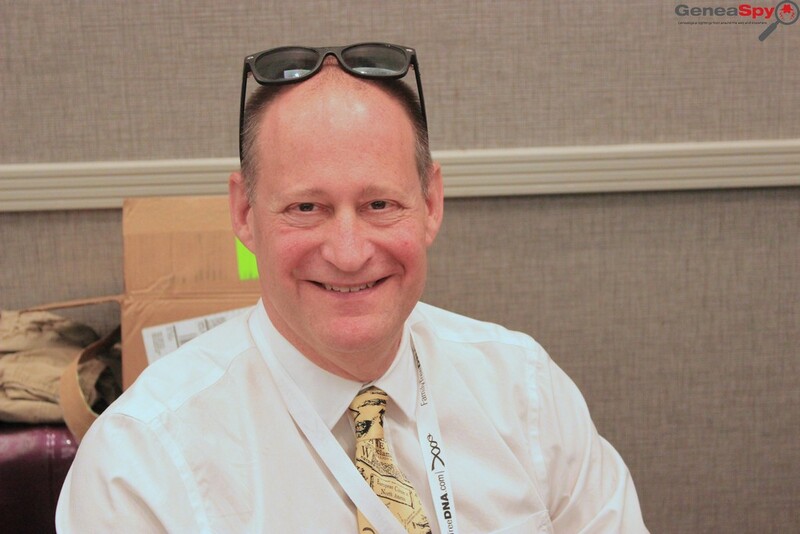 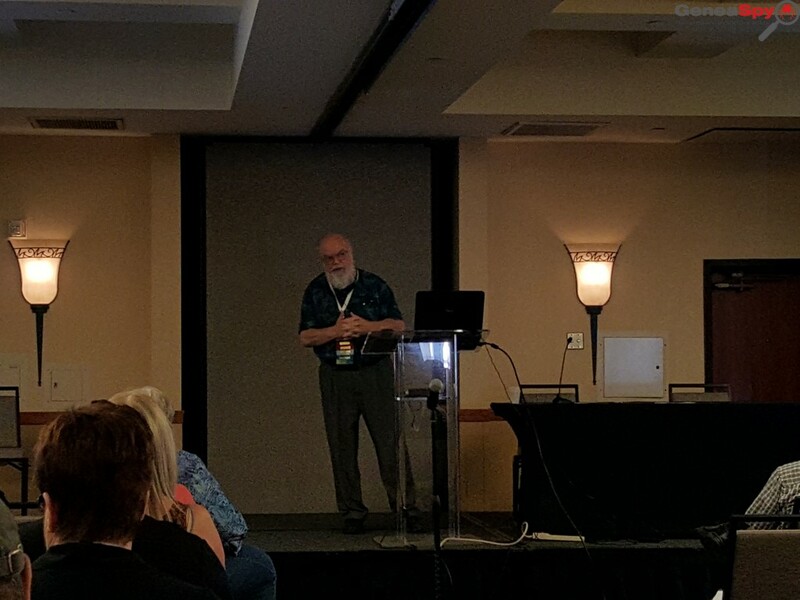 · “Maximizing Your Use of Evidence” - Thomas W. Jones, PhD, CG®, CGL®, FASG, FUGA, FNGS. · “Railroad Records” - Kim R. von Aspern-Parker. 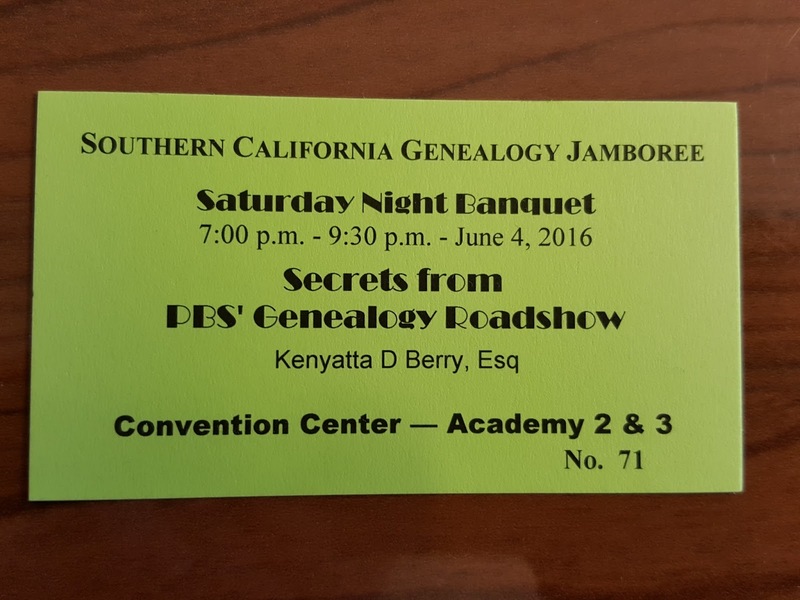 · SCGS Banquet: Secrets from PBS’s Genealogy Roadshow” – Kenyatta D. Berry, Esq. 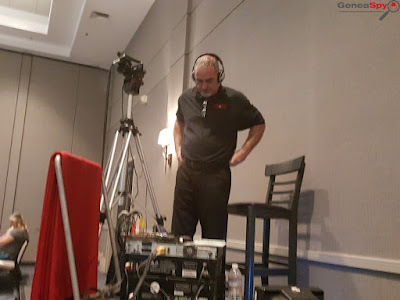 Steve Morse of One-Step Webpages. 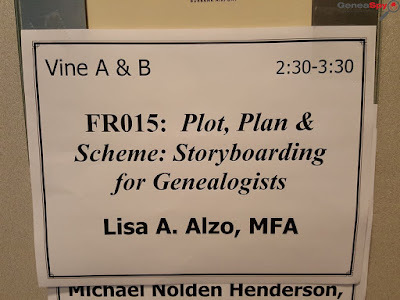 Lisa Alzo, the Accidental Genealogist. The line for the banquet! Heather Goebel (center), Lydia Goularte (right). 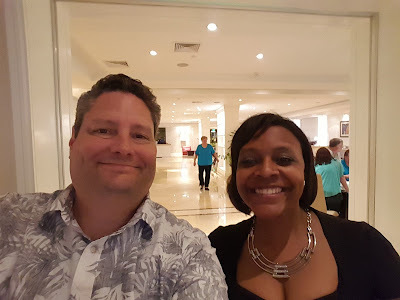 Selfie with the beautiful Kenyatta! 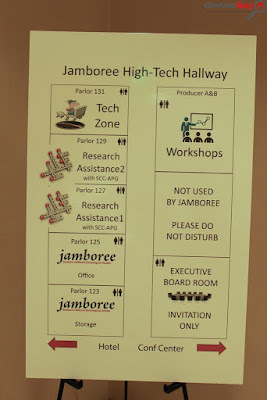 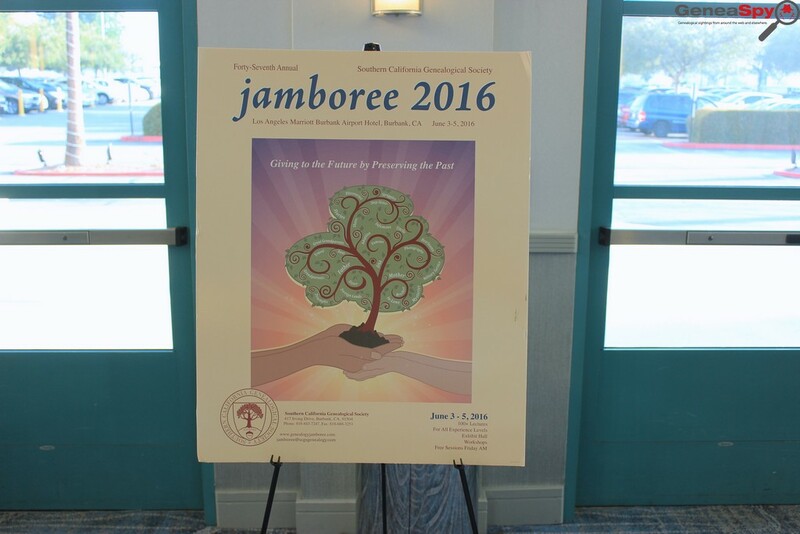 Jamboree day 1 proper got into full swing today with everyone arrived and ready to start learning genealogy! 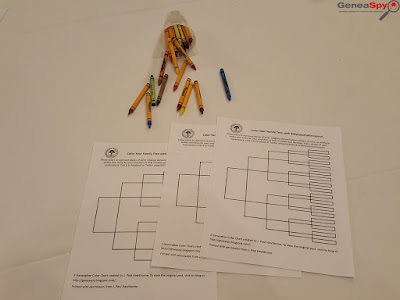 I took some great classes today including Randy Whited’s “Genograms” which he included a My Colorful Ancestry chart with his ancestors in it and also a genogram that I made earlier in the week in which I showed the naming pattern of “Alexander Travis” in my paternal line from the early 1800s to the 1900s. 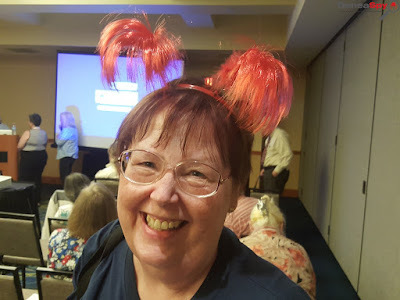 Make your own here. Thank you, Randy! 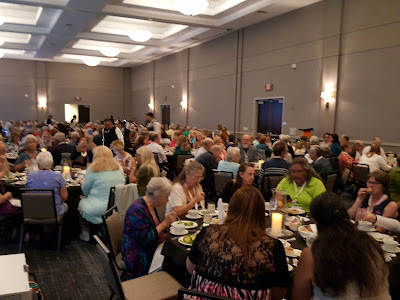 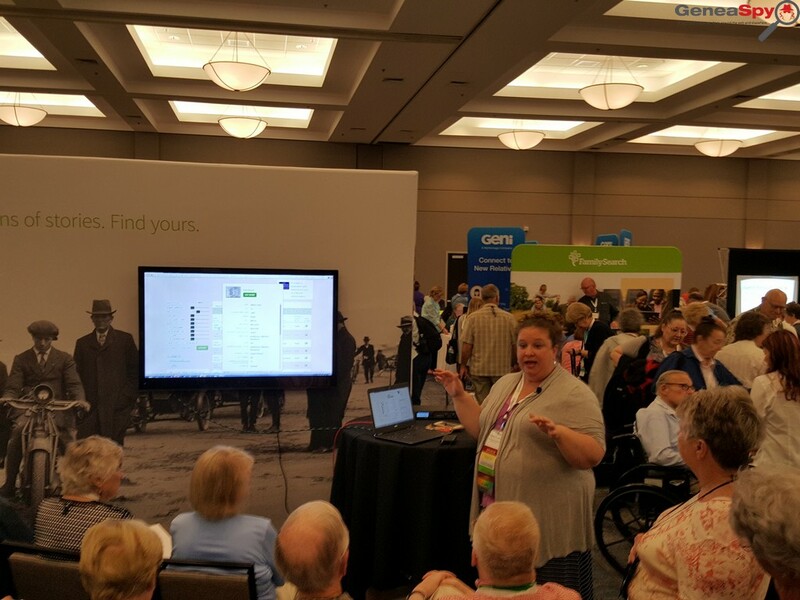 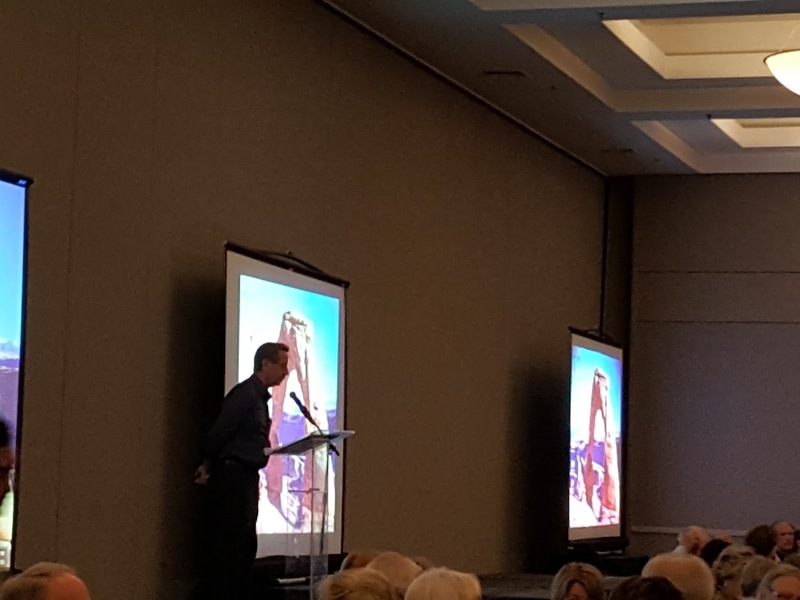 At the end of the day, I attended the banquet which featured David E. Rencher of FamilySearch with another inspiring talk. 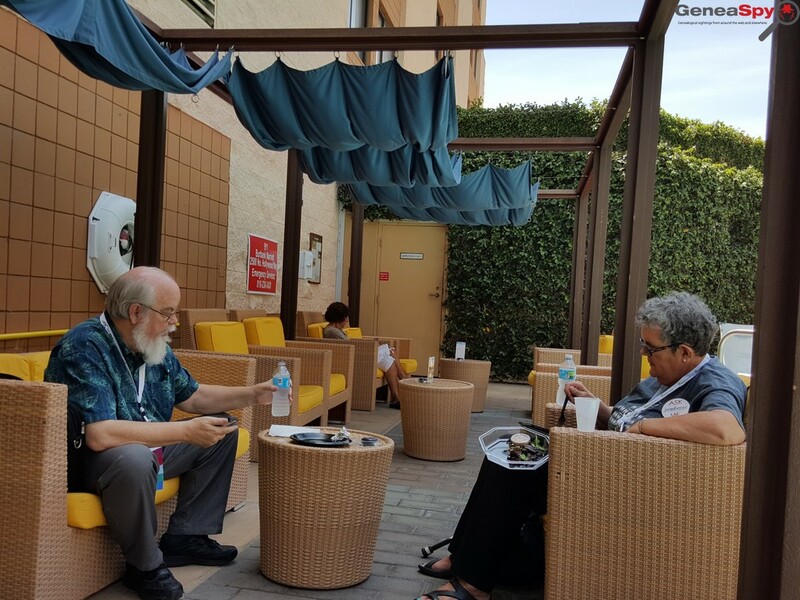 I was invited to sit at the VIP table earlier in the day by Jane Van Tour of SCGS – Thanks, Jane! 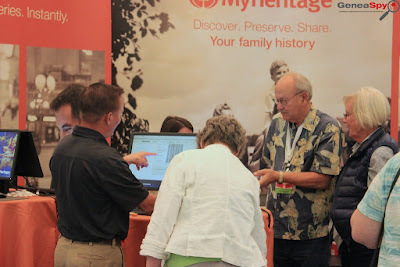 At the table sat Mark Olsen of MyHeritage, Genealogist Richard Sherer, David E. Rencher of FamilySearch, Leo Myers of SCGS, Genealogist Barbara Renick, and a few more. 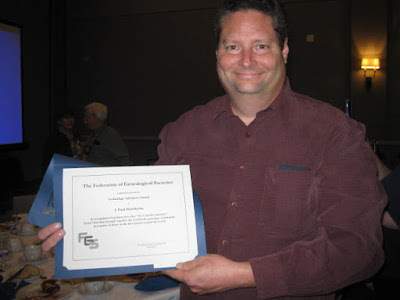 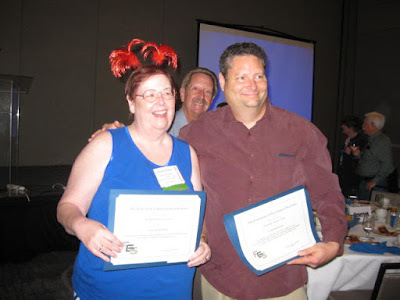 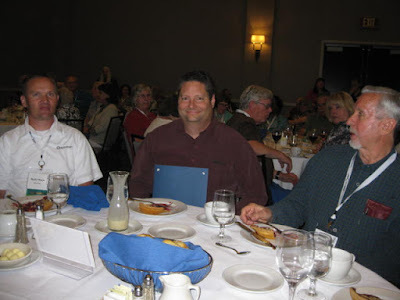 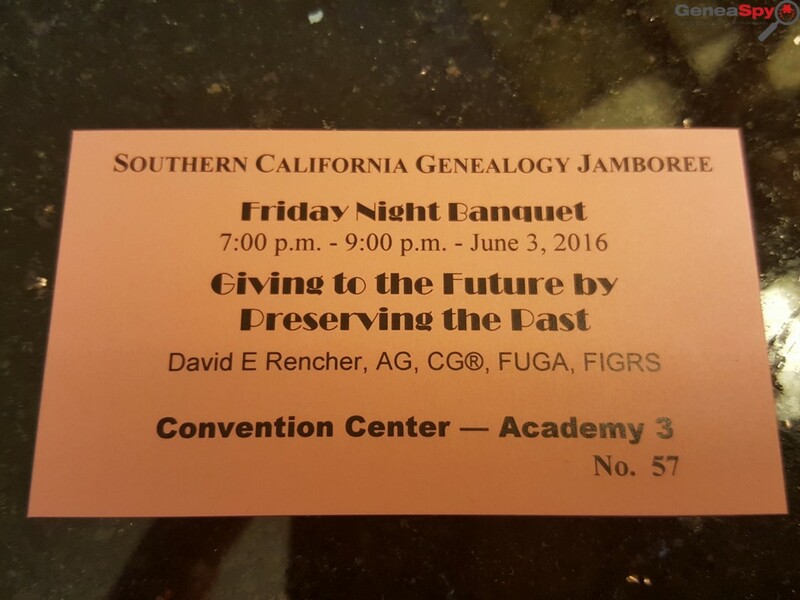 There were two awards given out by the Federation of Genealogical Societies and presented by David E. Rencher. 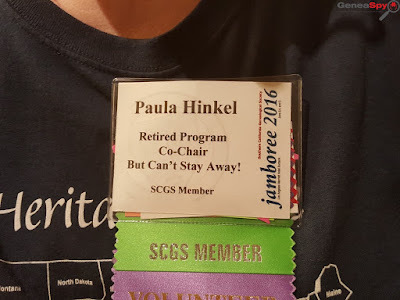 Paula Hinkel of SCGS for her many years of work for Jamboree and myself for the shareable chart I made that went viral around the world. 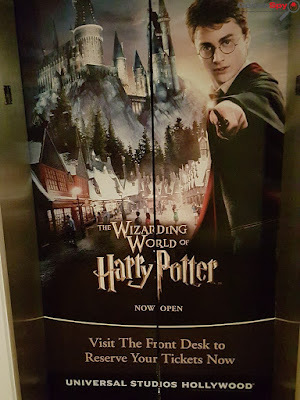 I was so shocked and surprised! I am so honored and humbled by the recognition. 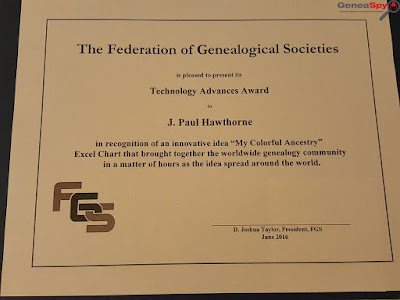 Thank you FGS! 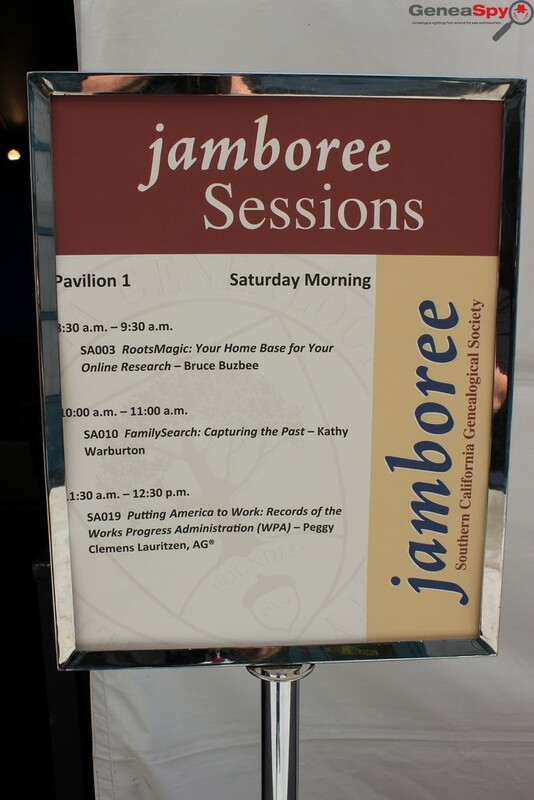 Below are the classes I took. 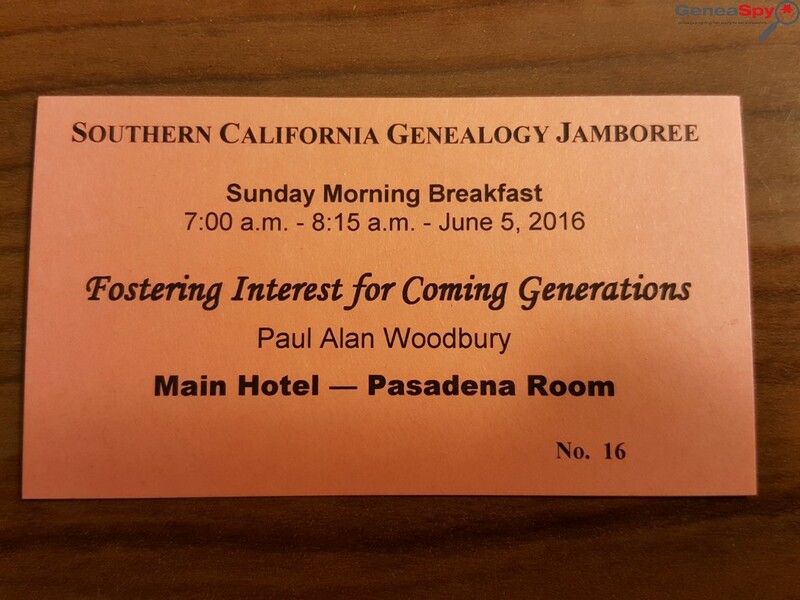 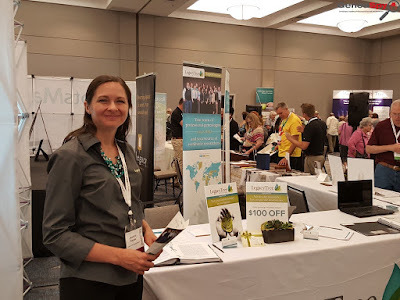 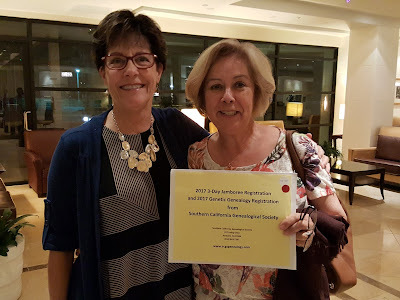 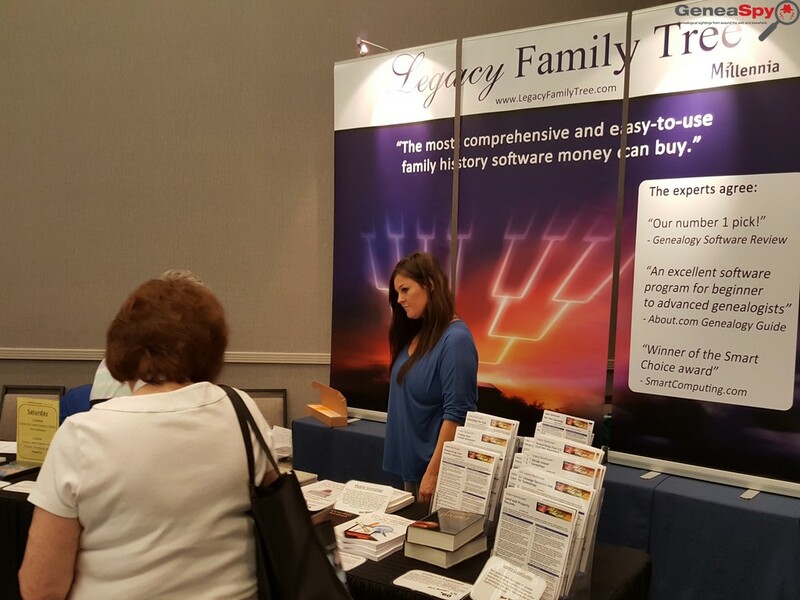 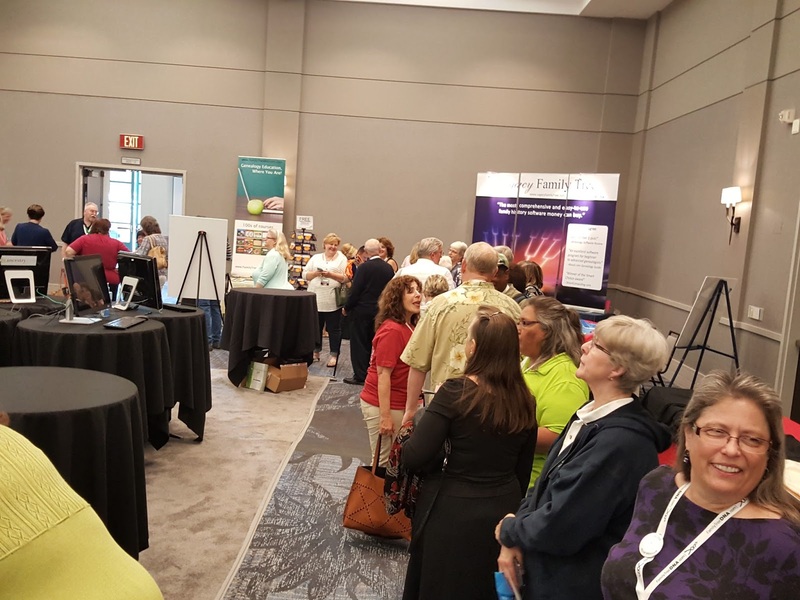 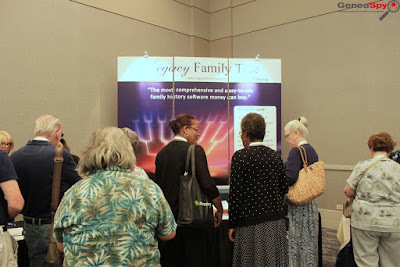 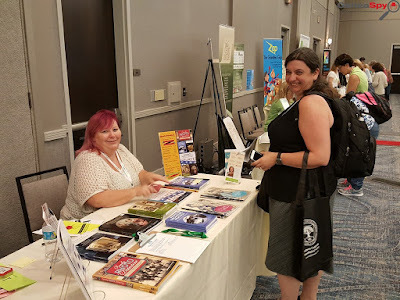 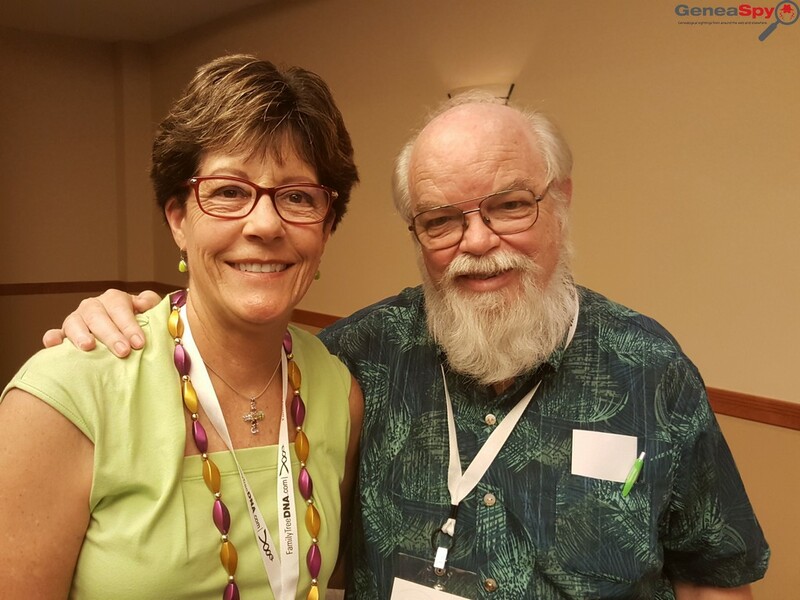 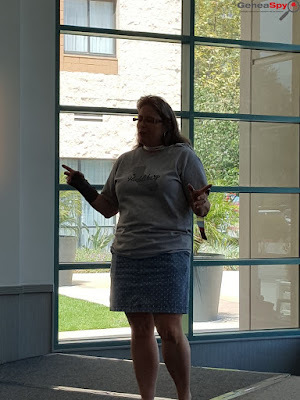 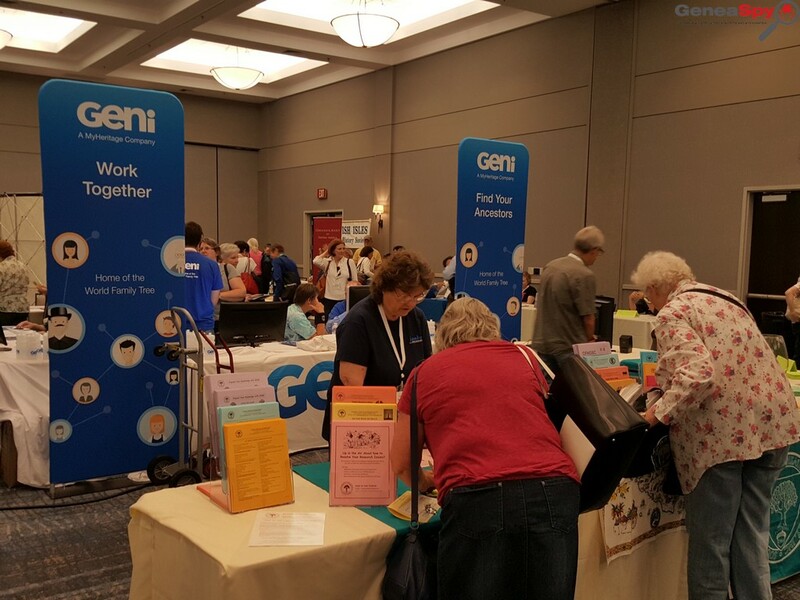 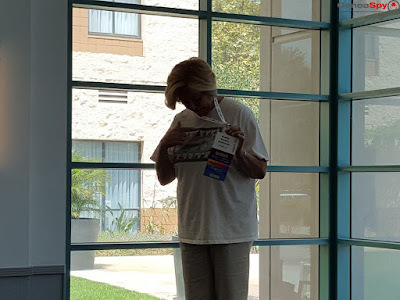 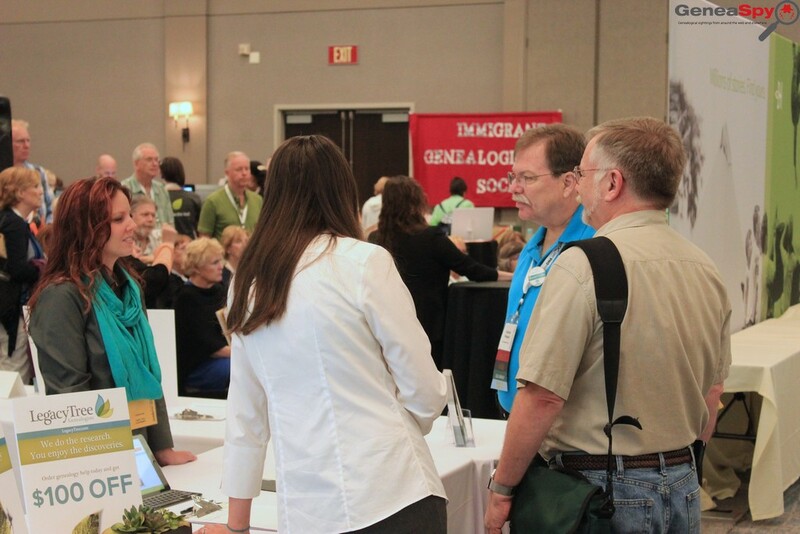 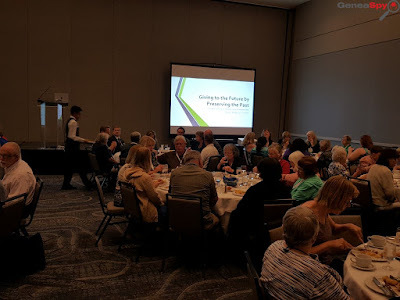 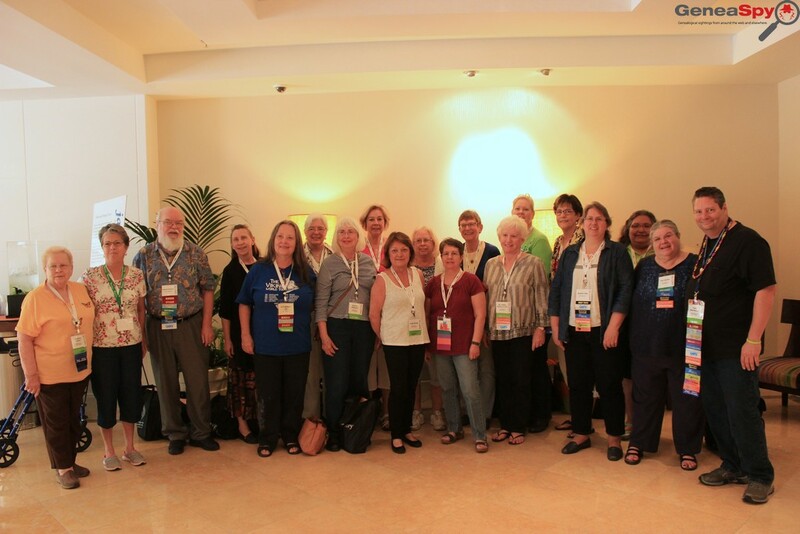 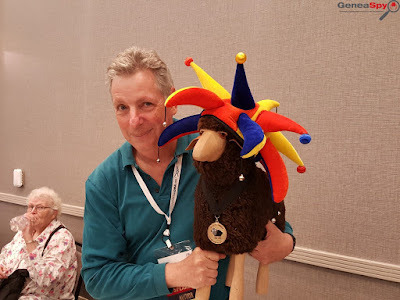 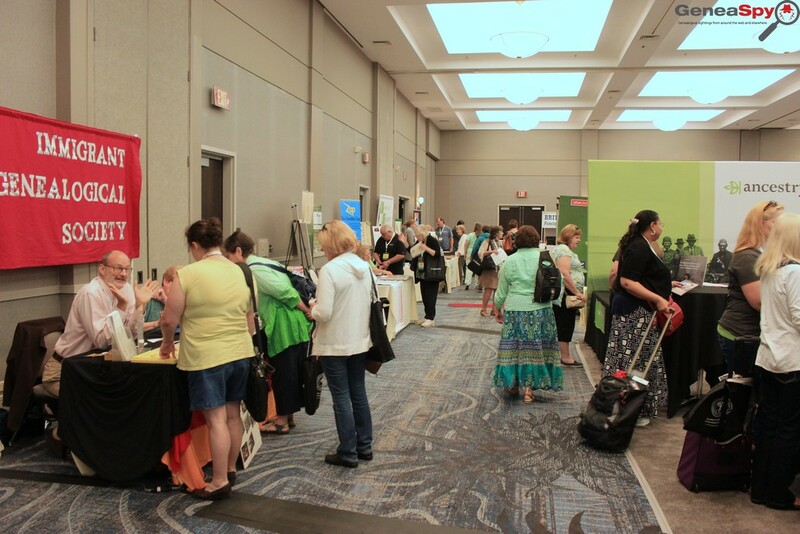 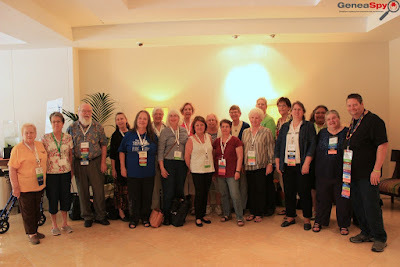 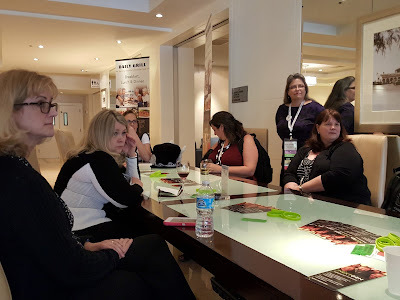 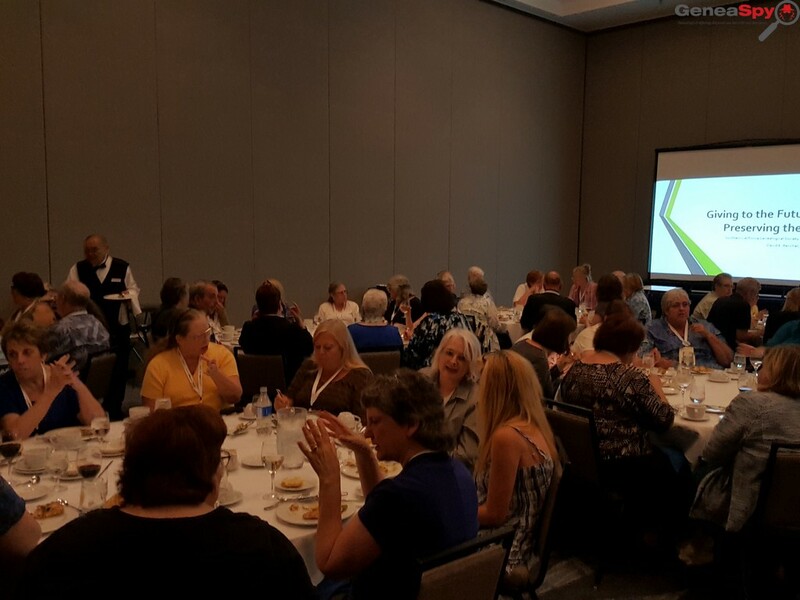 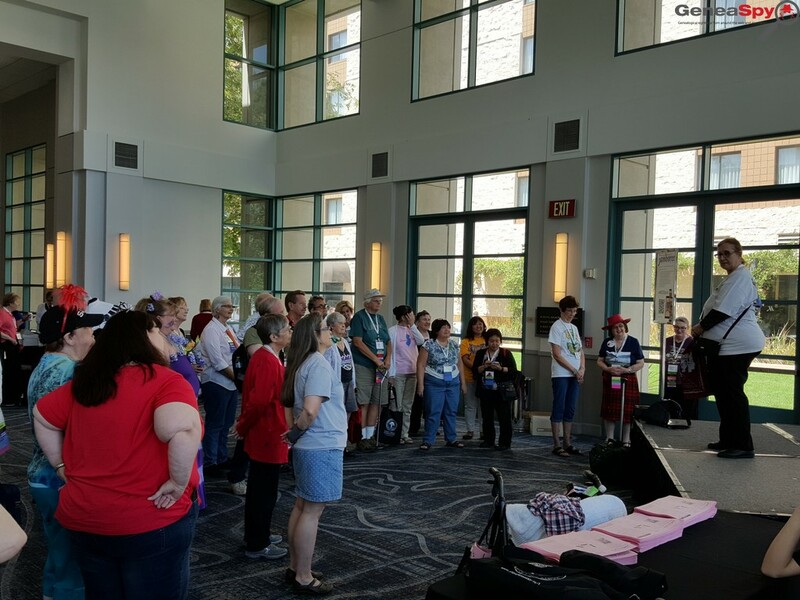 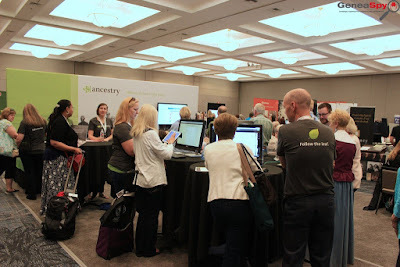 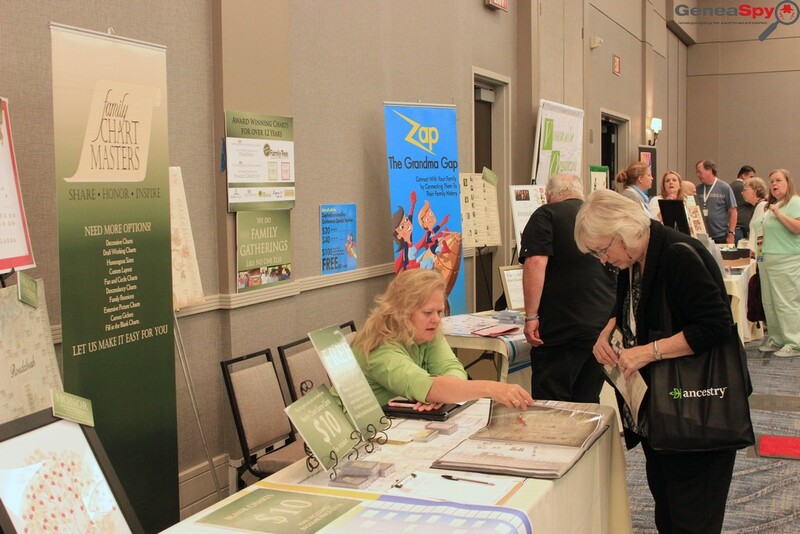 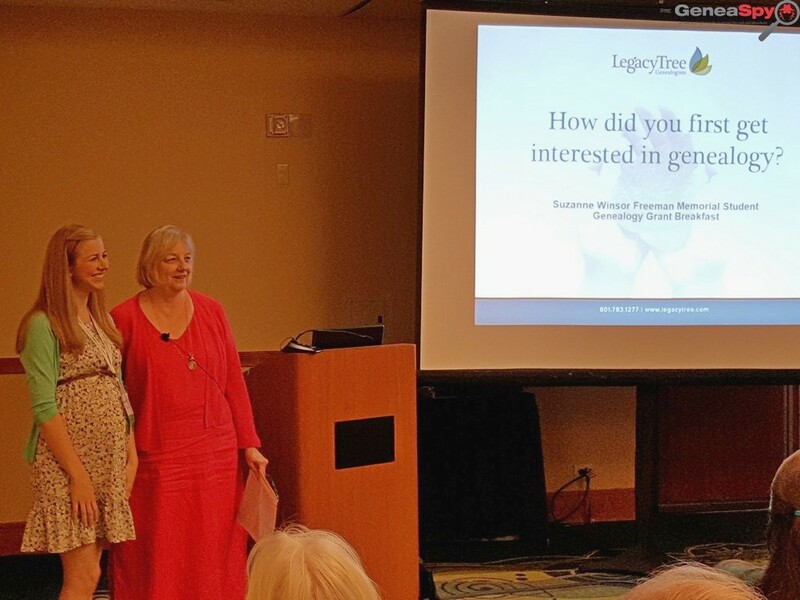 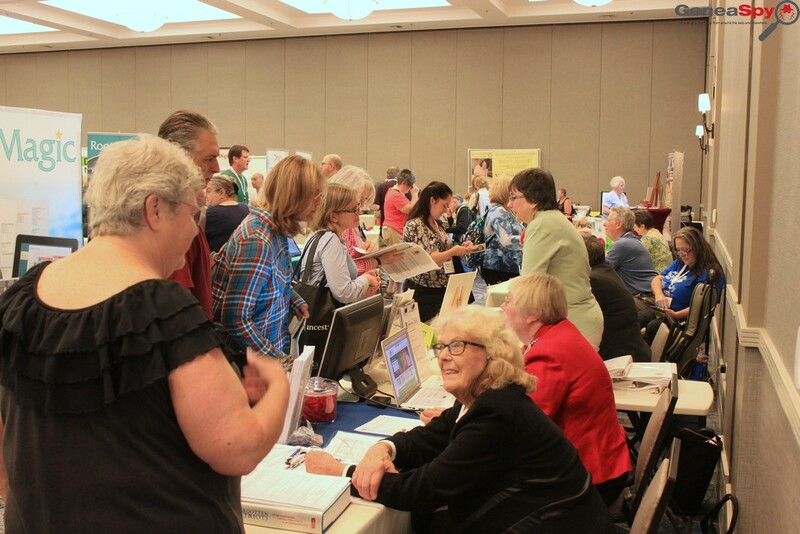 · “Why and How to Become a Professional Genealogist” - Jean Wilcox Hibben, PhD, MA, CG® and Jamie Lee McManus Mayhew, PLCGS. 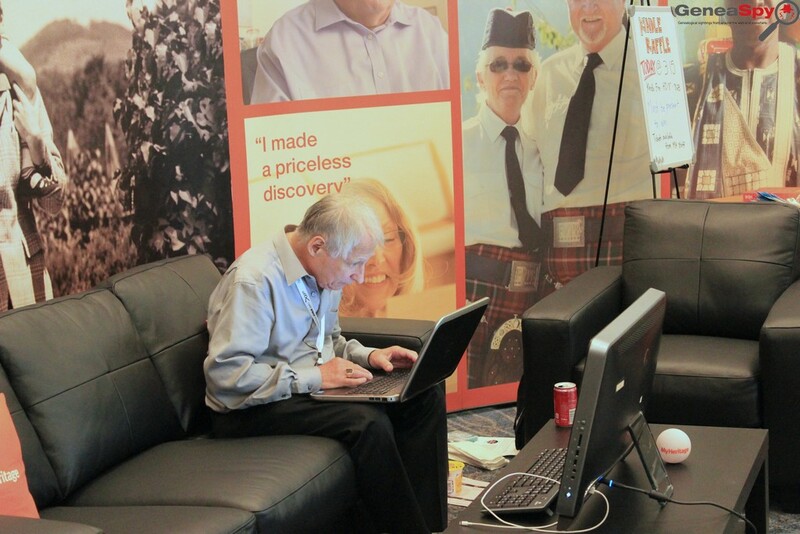 · “Use Social Media to Benefit Your Society and Your Research” – Randy Seaver. 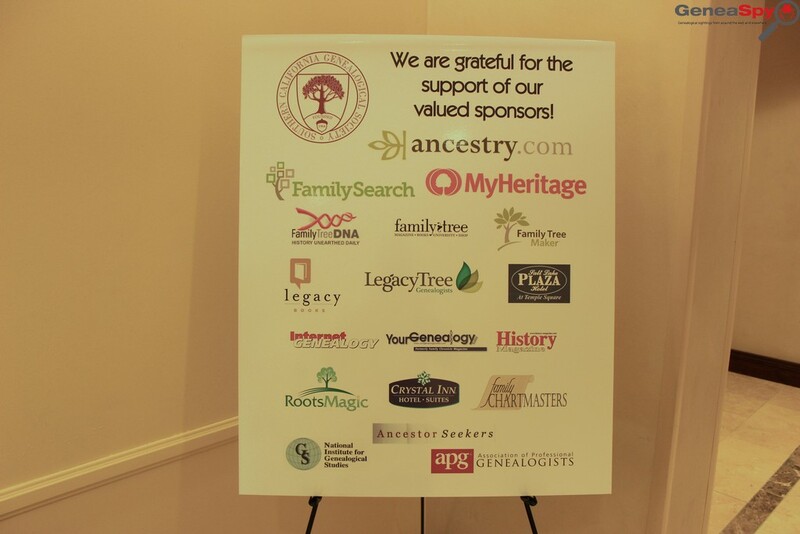 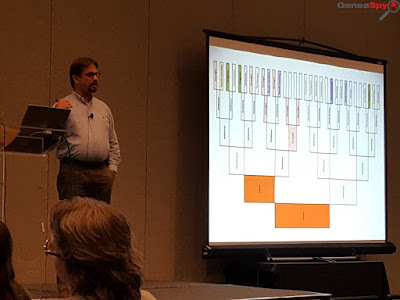 · “Genograms for Family Medical History and Cluster Research” – Randy Whited. 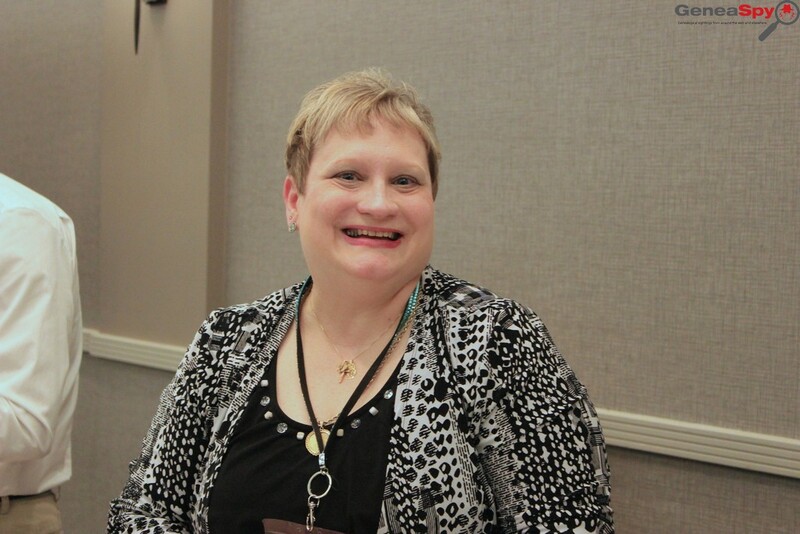 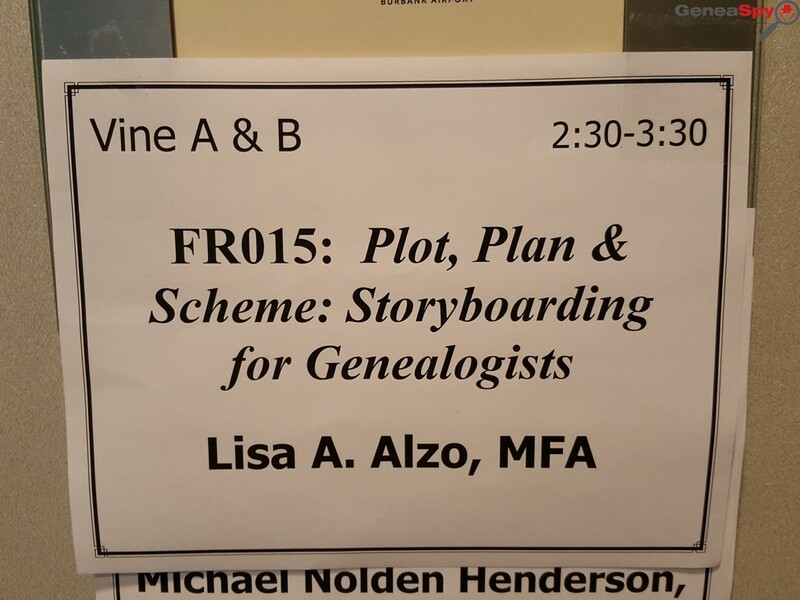 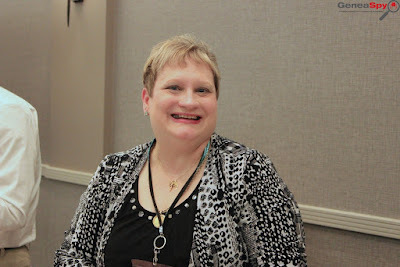 · “Plot, Plan & Scheme: Storyboarding for Genealogists” - Lisa A. Alzo, M.F.A. 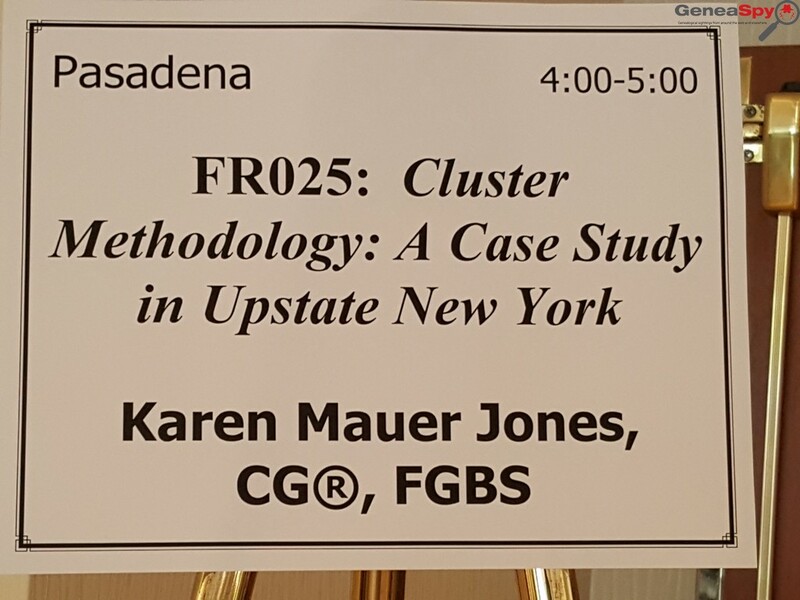 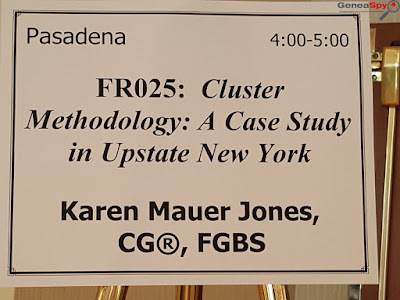 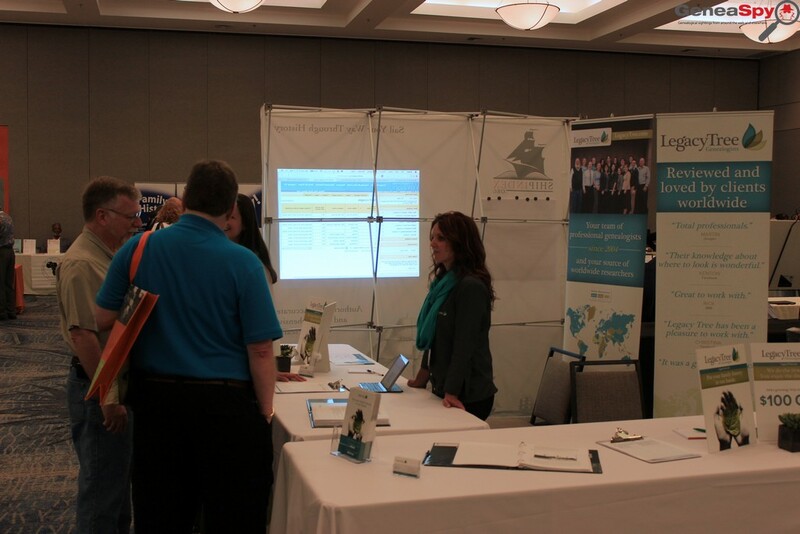 · “Cluster Methodology: A Case Study in Upstate New York” - Karen Mauer Jones, CG®, FCBS. 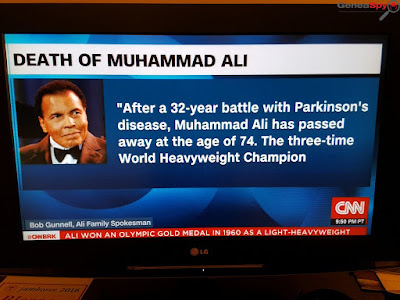 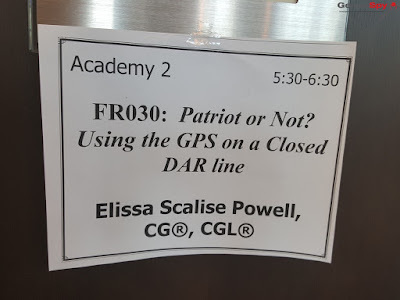 · “Patriot or Not? 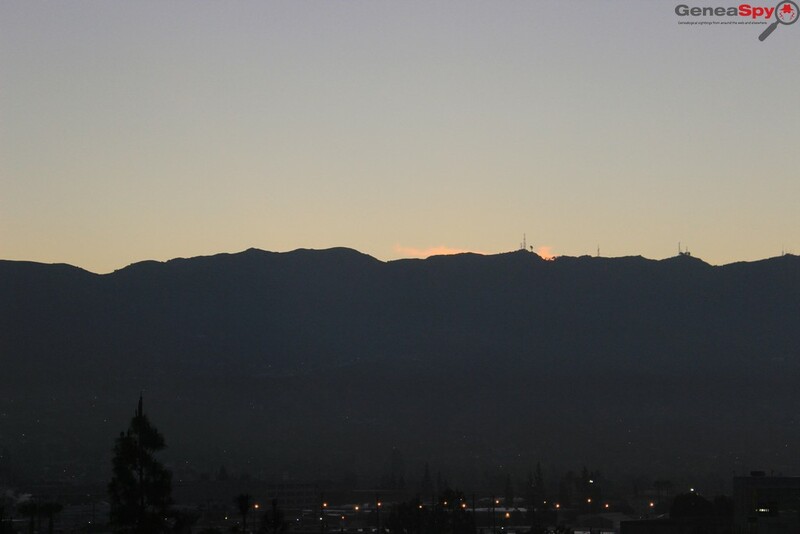 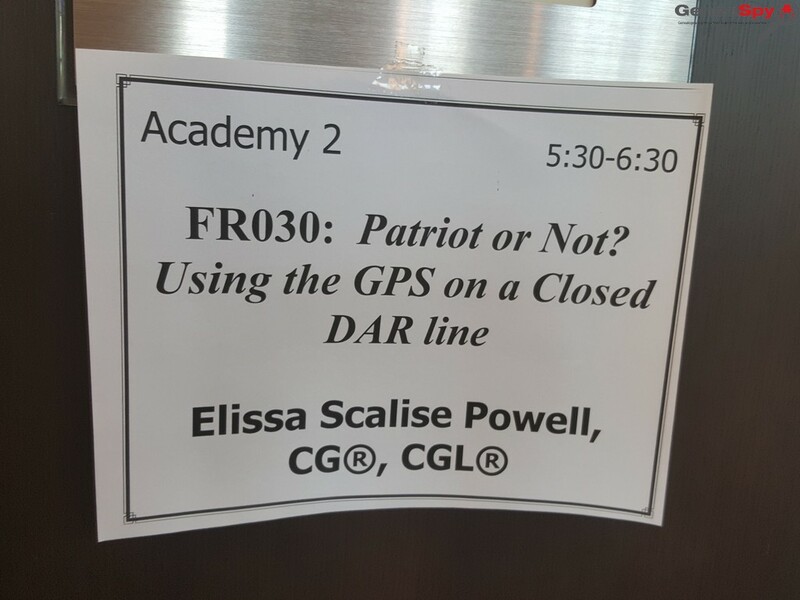 Using the GPS on a Closed DAR Line” - Elissa Scalise Powell, CG®, CGL®. 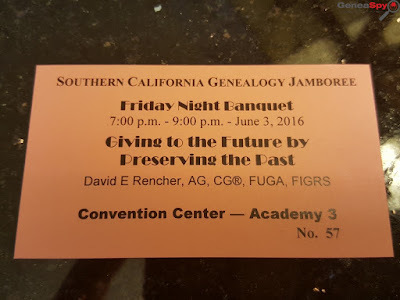 · Banquet: “Givin to the Future by Preserving the Past” - David Rencher, AG(R), CG®, FIGRS, FUGA. 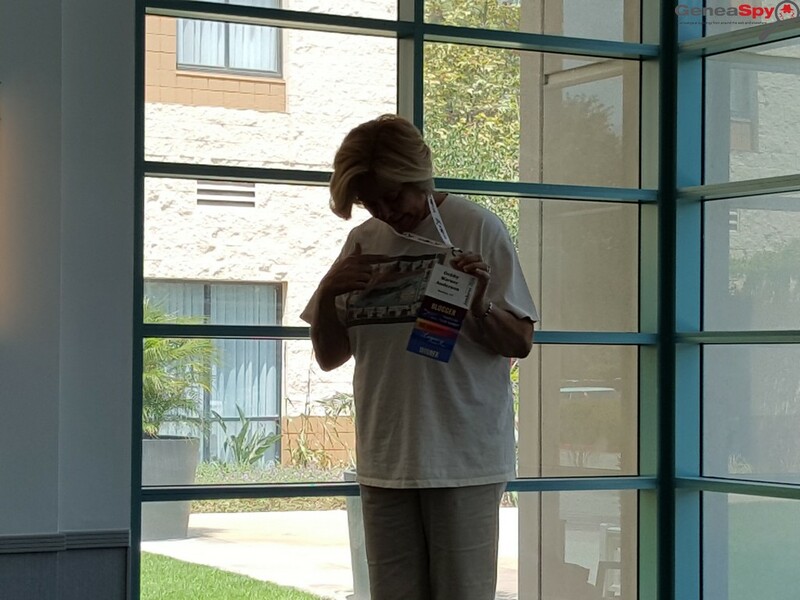 Deborah Sweeney looking over her schedule. 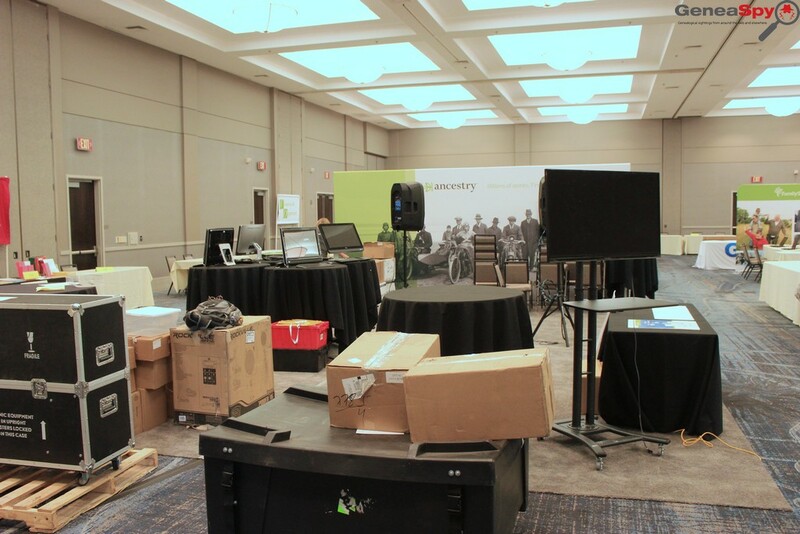 Behind the scenes during set-up. 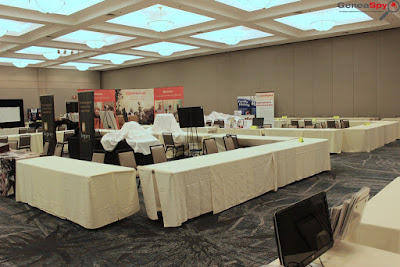 Before the vendor hall was open. 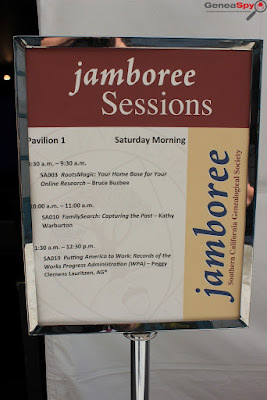 Jean Hibben & Jamie Mayhew's class. Randy Seaver's social media class. 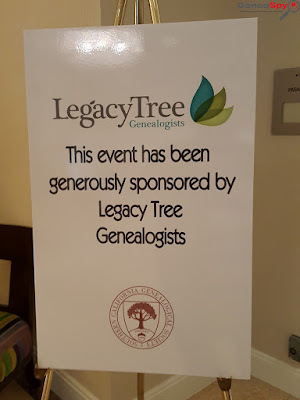 Are we at a genealogy conference? 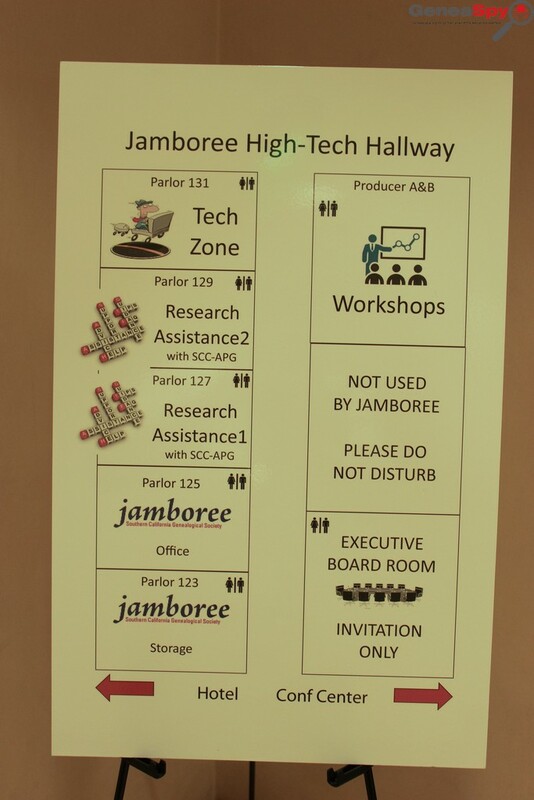 Yes, Jamboree! Legacy Family Tree on hand! 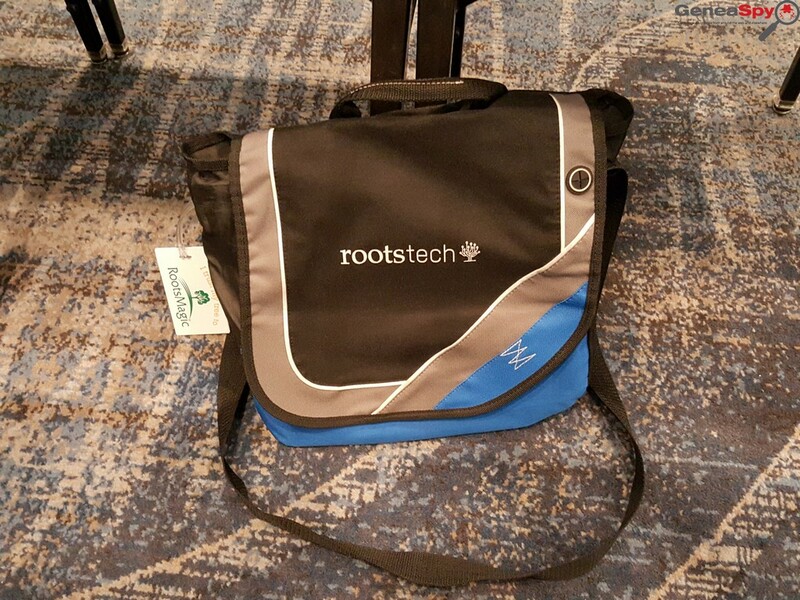 My favorite conference bag. 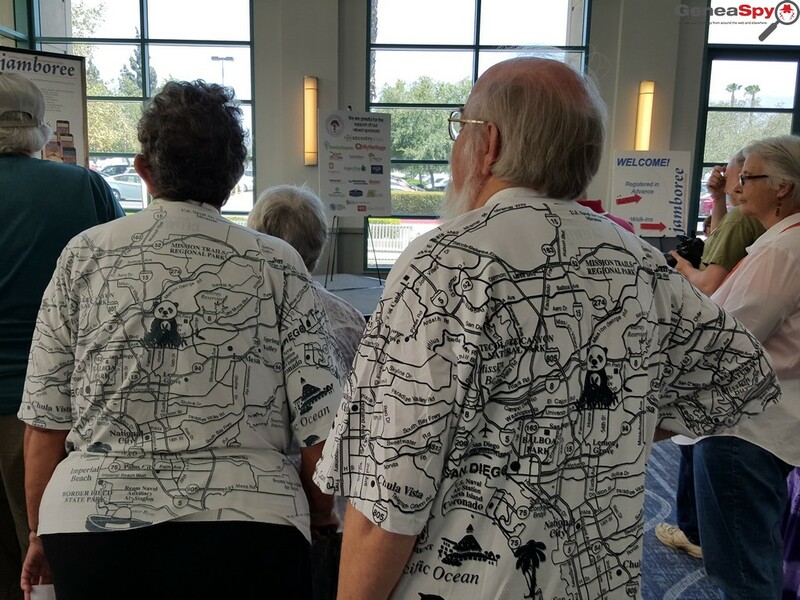 I take it everywhere! 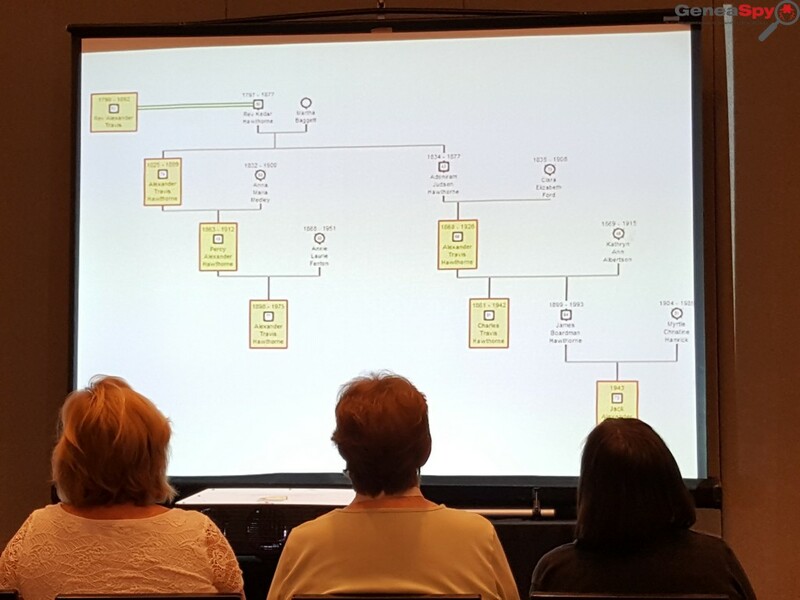 Randy Whited's very eye opening genogram class. A genogram I created highlighting naming patterns. Thanks Randy for including it in your presentation! 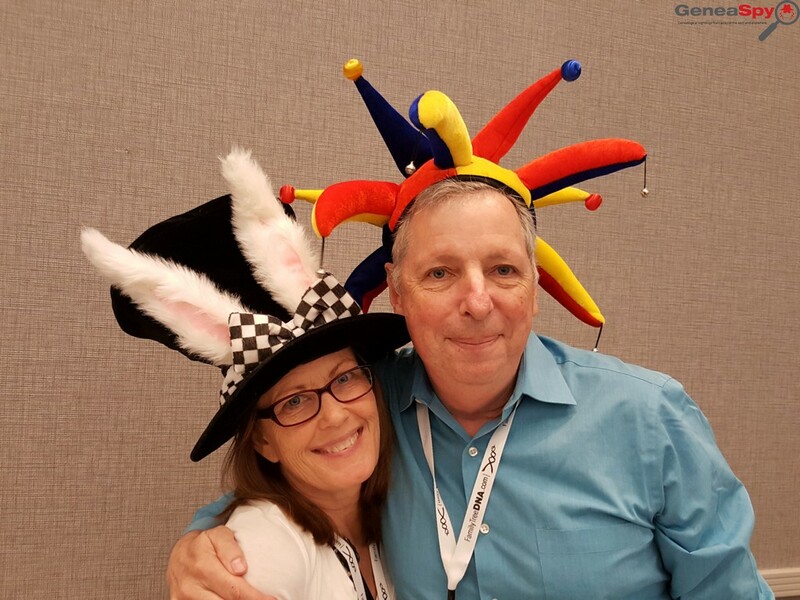 Laurie Desmarais & Kim Cotton having fun! Bruce & Laurie Buzbee - RootsMagic! Excellent class!!! 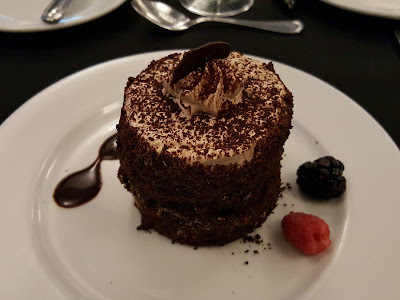 This I needed! First time hearing Karen Jones... awesome! Paula Hinkel makes Jamboree fun! 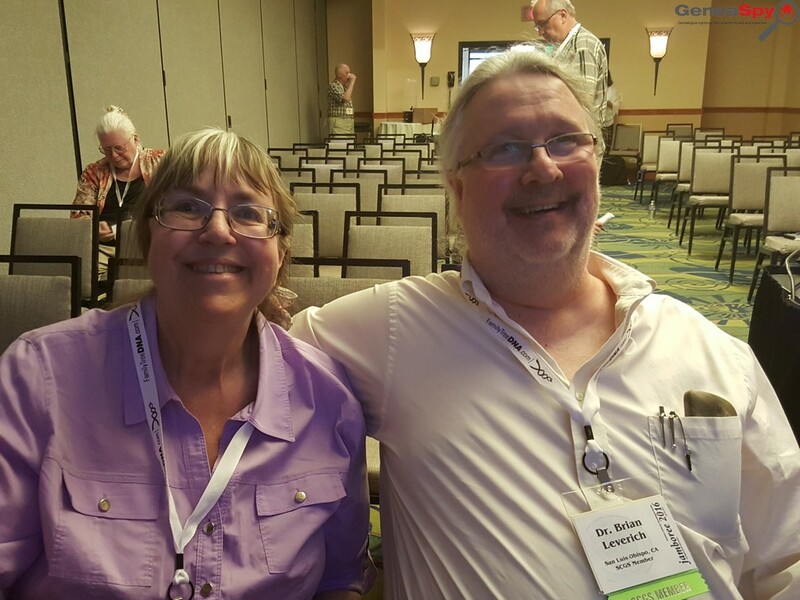 Good friends, Diane Hall & Randy Seaver. Computer scientists, Karen & Brian Leverich. I see this guy every year... thank you! 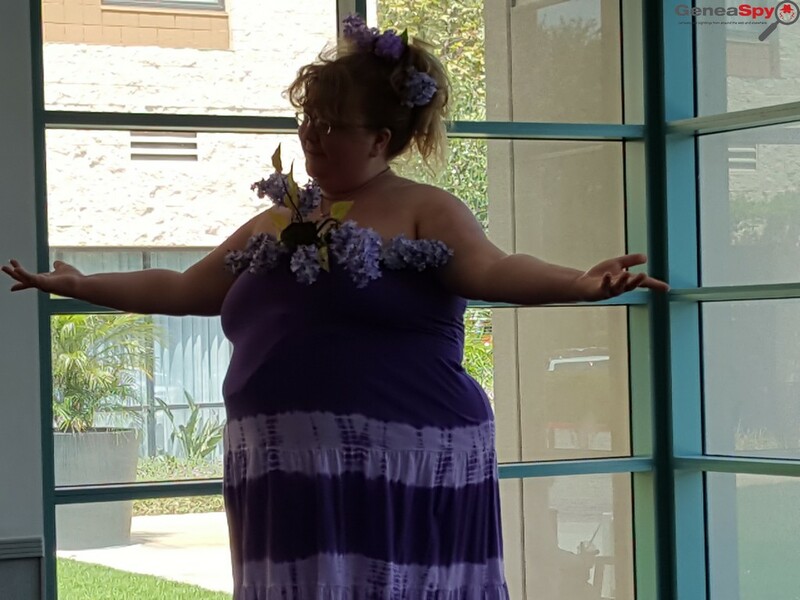 I got dressed up for this one! 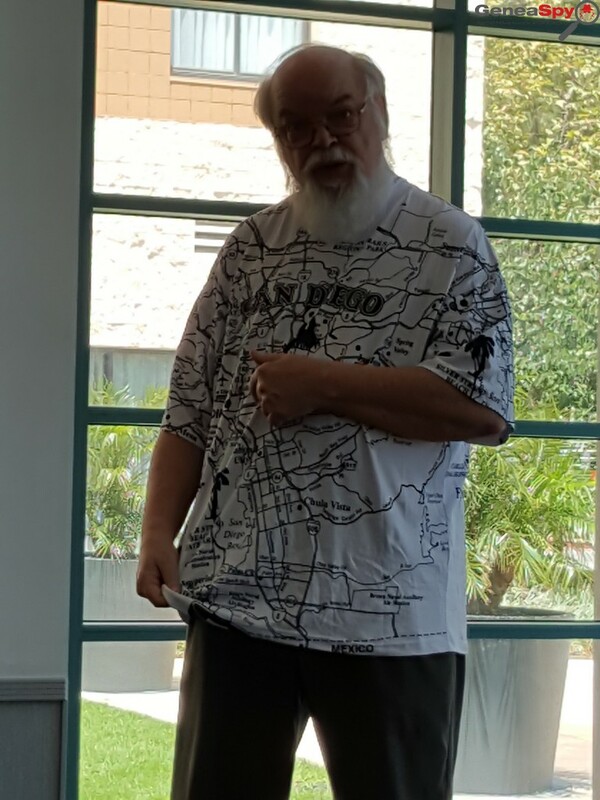 No jeans! 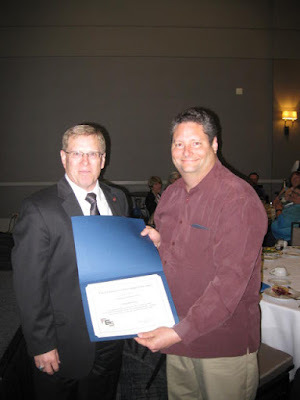 Award presented by David E. Rencher. 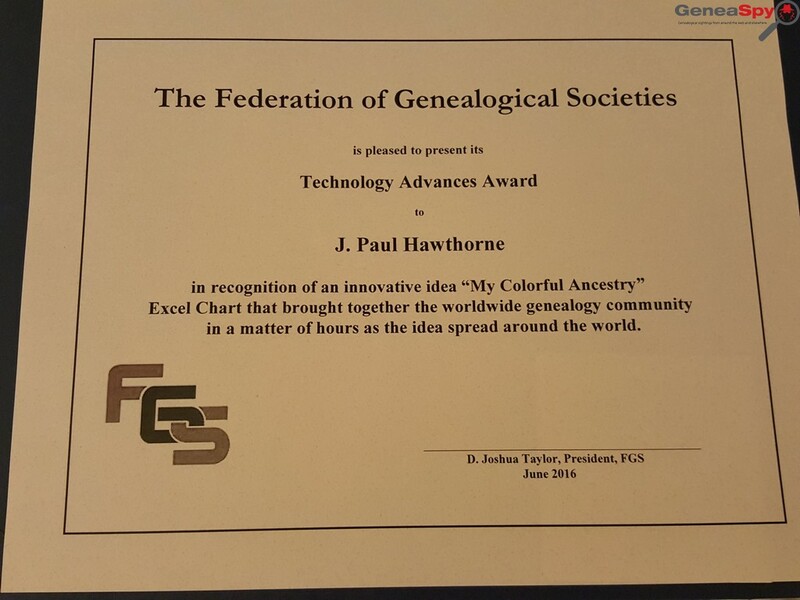 Thank you FGS! 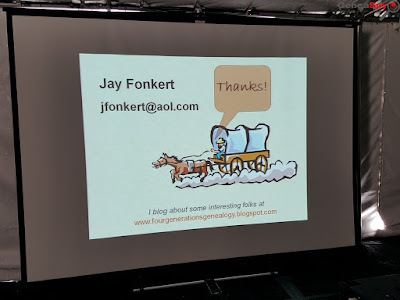 Signed copy to be mailed. Thanks, Lise Harding, for #MyColorfulAncestry fun project at Jamboree! 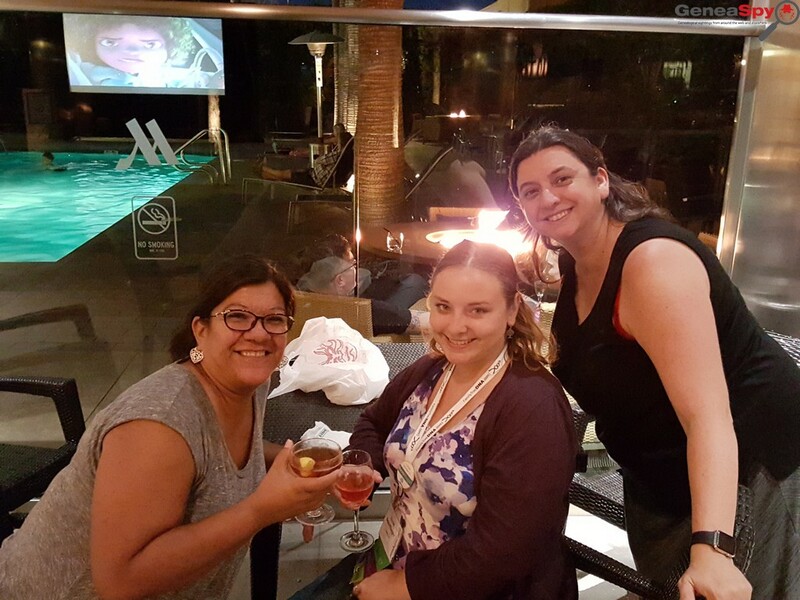 Patricia Stanard, Elyse Doerflinger & Kim Cotton enjoying a night cap. 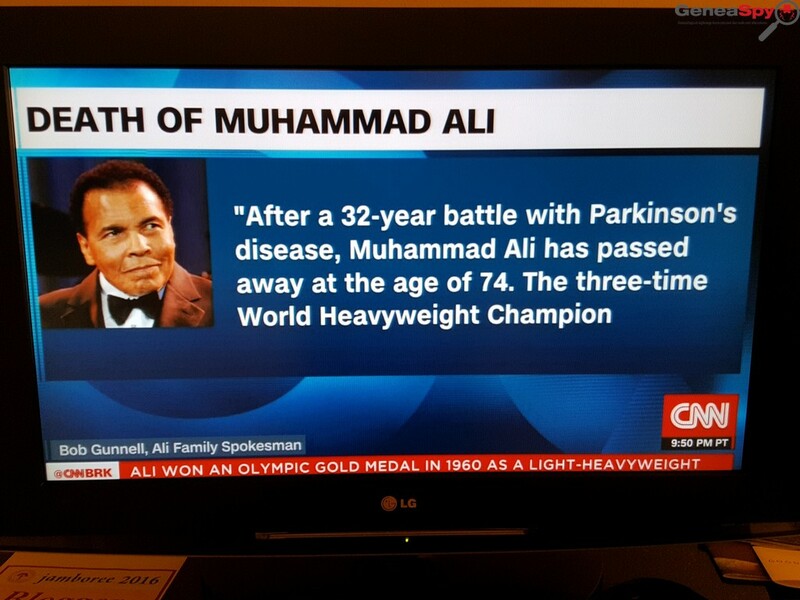 Very sad news when I got back to my room. 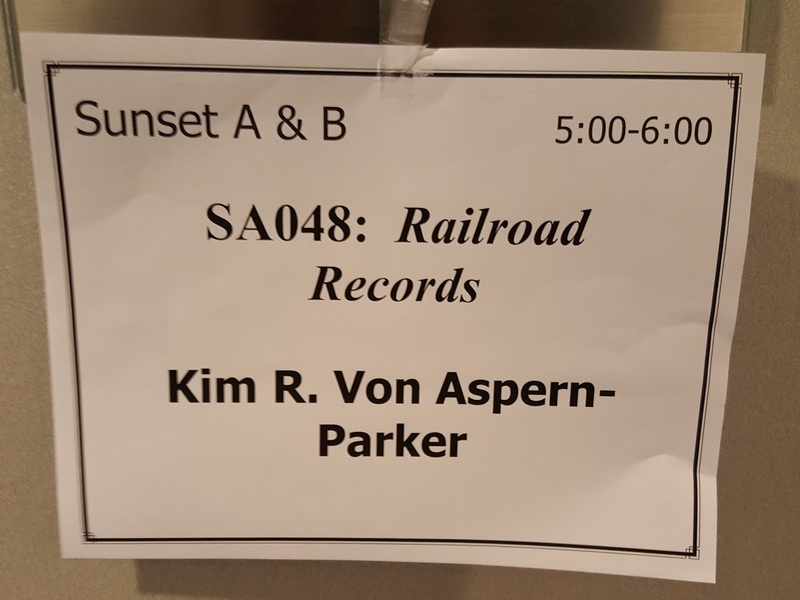 Long, but very productive day. 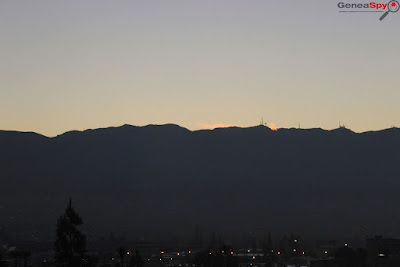 Tomorrow is another full day!! !